Save up to 1/2 price on selected wellbeing, including XLS, Slimfast and Mbody. Hope you’re well and enjoying the sunny weather? Hope you’re having a good week & looking forward to the weekend? Champneys nature’s treat collection. Only £10, worth £27. Hope you’re well? 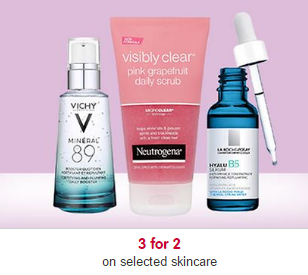 Boots.com have got some fantastic offers which you can’t miss out on! Hope you’re well? Superbreak have got some fantastic offers which you can’t miss out on for all the family to enjoy! Hope you’re well & looking forward to the Easter break? Superbreak has got a fantastic sale which starts today and will end on Tuesday 3rd April at 23:59pm! Starts today for 5 Days only - Don’t miss out! 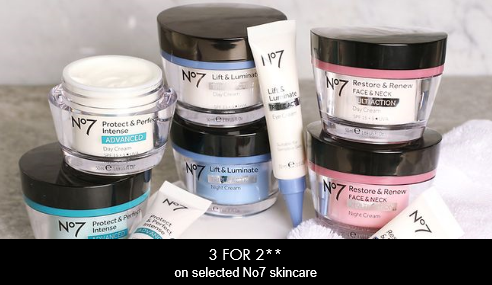 Boots have got some fantastic offers to brighten up your Easter! Three's Exclusive 12 month Netflix Subcription! Hope you’re having a good week? This offer is applicable to 12GB tariffs and above- which will only be valid with purchases until the end of May. This code is live now until Sunday 11th March. 3 Day General Admission – provides access to the Friday, Saturday & Sunday of the event in the General Admission areas of the circuit. Friday is a roving stand ticket meaning guests can sit in any unreserved grandstands. Sunday General Admission – provides access to the Sunday of the event in the General admission areas of the circuit. Both tickets can be combined with any hotel within the area. Parking Passes are also available and can be added as an extra item. Ticket can be packaged with any hotel attached for any length of stay, no transfers included. Please note, the West Tip Fixed Package is still available at £249pp with coach transfers and 2 Night Stay and should be pushed where possible. Available on various dates April – September 2018. This experience includes a match ticket for one of many available County Championships and One Day Cups with a 90 minute stadium tour of the Kia Oval during the break for lunch, including areas such as commentary boxes and media rooms, ending in afternoon tea with prosecco in one of the suites overlooking the remainder of the match. Test Match Experience includes a 90 minute stadium tour of the Kia Oval the day before the Test against India (6th Sept), including the likes of the commentary boxes, Committee room and access to the pitch with chance to see the international wicket. The tour is followed by tea and coffee in one of the ground’s suites where guests will be able to watch the teams train and receive an exclusive pre-match gift bag. The package also includes a ticket to Day 1 of England v India test match the following day (7th September). 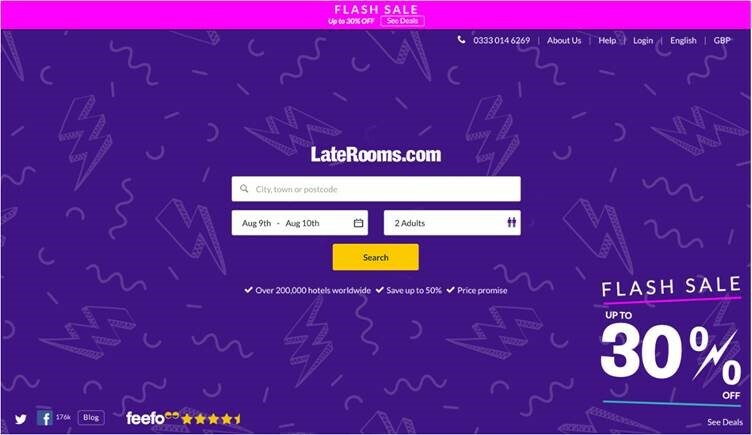 Don’t miss out on up to 30% off selected properties on Laterooms! Was: £70 and now: £24.50! Superbreak has got some great offers to keep your little one’s entertained this half term! We have all dates available for the week and the Chilton Hotel based near Luton Airport have family rooms for up to 5. 1 night room only plus general admission to Whipsnade Zoo. Including a FREE entry to the Verts in Action! £245.50 per family of 5- that’s just £49.10 per person! Fancy a day out in London? Stay at the Days Hotel Waterloo with a full breakfast for a family of 4- plus general admission to London Zoo, with FREE entry to the Vets in Action! £201.00 per family of 4- that’s just £50.25 per person! 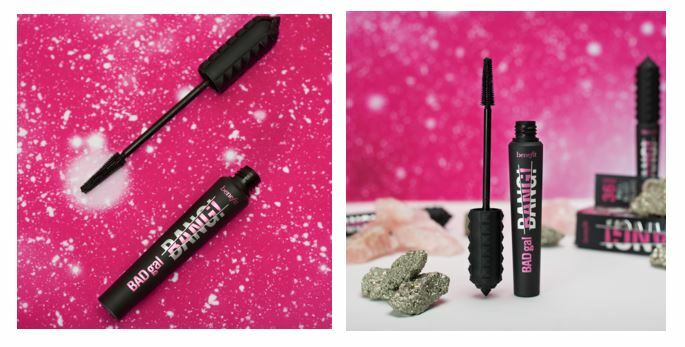 Benefit are launching their new Badgal Bang mascara today! To celebrate this fantastic product, Boots are giving customers £5 worth of Advantage Card points when you buy 2 Benefit products (including the BADgal Bang! Mascara) plus a free gift! 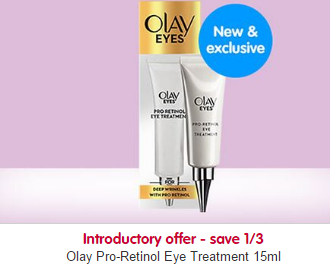 Not only that, Boots are also £1 cheaper than ever other retailer for 2 weeks only! Offer: 500 advantage card points when you buy 2 benefit products (including the mascara) plus you will also get a free gift. Live dates: 02/02/2018 - 16/02/2018 for the point card offer. Free Product whilst stock lasts. Here is fabulous offers for February! We’ve got new & exclusive short breaks from £100 deposit per person! Return flights from 16 regional airports including Humberside, Norwich, Cardiff, Durham Tee Valley, Leeds Bradford & Exteter. Verona, Venice & Lake Garda: Discover the romance of Verona, the shores of Lake Garda & winding canals of Venice. Florence, Pisa and Tuscany: Explore the seductive landscapes and beautiful cities of Italy’s Tuscany region. Malta: Mdina & Gozo: Home to stunning coastlines, world-class cuisine and ancient wonders. Montenegro, Croatia & Adriatic Coast: Explore mountains, Renaissance towns and spectacular beaches. Madeira: Funchal & Island Experience: Enjoy cultural delights, culinary treats to pretty villages and exquisite views. Incredible Iceland: Discover Iceland’s volcanic landscape, geothermal pools, roaring waterfalls & the Northern Lights. Superbreak Payday Sale- last 24 hours! 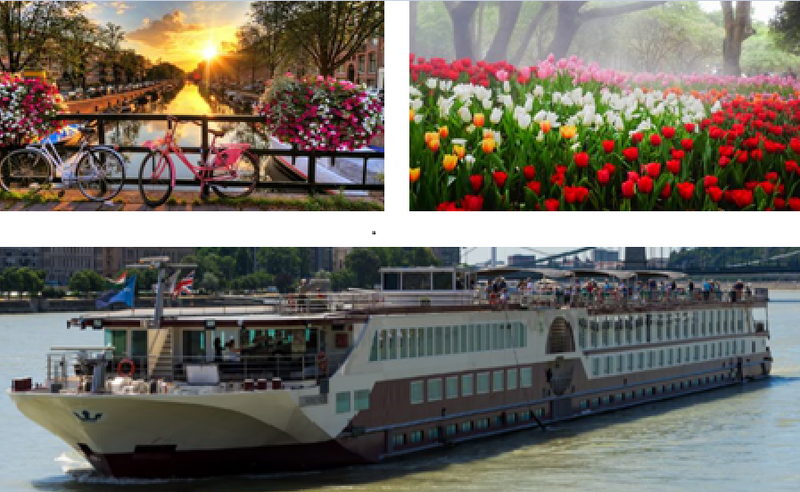 1 Night, 4* Tower Hotel, Central London B&B with tickets for The View from The Shard, bottle of Prosecco and River Cruise,. 1 Night, 3* Holiday Inn Slough/Windsor on a Room Only Basis with 1 days entry into LEGOLAND Windsor for a family of 4*. 1 Night at the 3* Holiday Inn Chester South on a Room Only basis with entry tickets for Chester Zoo for a family of 4*. 1 Night at the 3* Holiday Inn Express Watford Junction including Breakfast with entry into The Making of Harry Potter,. 2 Nights at the 3* Parsonage Hotel near York including Breakfast, Cream Tea on arrival and dinner on 1st night. 2 Nights at the 3* Hotel Bellvue in Paris based on room only and standard return Eurostar Travel from London St Pancras.